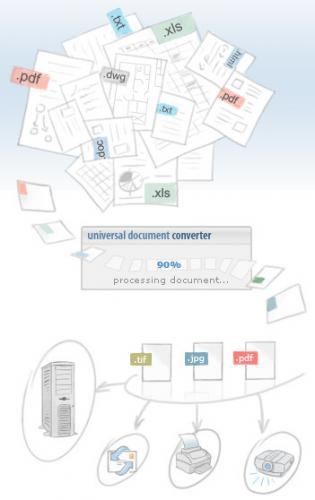 This program is called "Universal Document Converter". It is a program which allow you to convert any document (created in program with printing support) into a graphic file in popular format. Thus you can transfer files with one computer to another or send by e-mail and open it with simple graphics viewer (without the program in which the document was created). 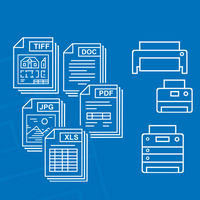 Universal Document Converter is managed by Windows as an ordinary printer. 6 formats are suppoted (BMP, GIF, JPEG, TIFF, PCX, DCX).